Marc Newson designed his clothes rack Hangman for the Italian manufacturer Cappellini in 1993. Hangman offers space for several clothes hangers, despite of its filigree construction it still has a stable stand and suits perfectly in every interior furnishing with its noble, purist design. The Marc Newson products are famous for their futurist inclination, which is also displayed in the Hangman clothes rack. The high quality metal which is satined in nickel, and the frame which seems as if made from only a single shaped rod create the expressive design of the Hangman. The Cappellini clothes rack Hangman has a height of 160 cm, so that long coats won’t touch the ground. 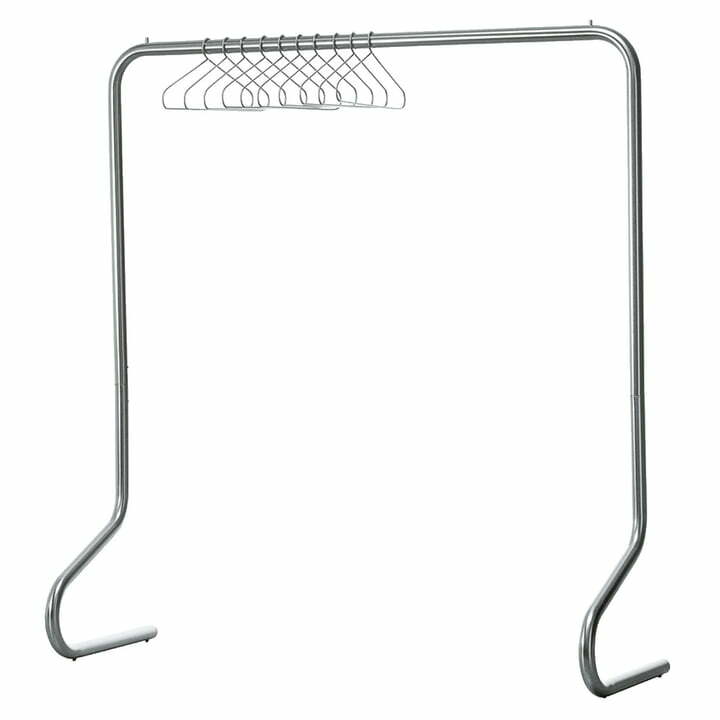 There are small stops at its sides that keep the hangers from falling. The feet of the clothes rack have a depth of 53 cm. Under the skids there are small plastic gliders that protect the floor and prevent scratches. The clothes rack is available in two sizes and suits the design-conscious single or the whole family. Matching clothes hangers made of satined stainless steel are obtainable by Cappellini as well. Details Clothes hangers available optionally!